Update – UP Police Constable Admit Card 2018 will release before the exam date 9th & 10th June 2018.UPPRPB notified about Expected Exam Date for UP Police Constable Recruitment Exam 2017 2018 as 9th & 10th June for the written test. 41520 Posts of Police Constable vacant seats will soon be covered as the UPPRPB Board conducts the recruitment test. In order to appear in the Uttar pradesh police constable exam, all of the candidates must download the Hall Ticket or Admit Card. No doubt that the UP Police Recruitment and Promotion Board (UPPRPB) will upload it on www.prpb.gov.in. 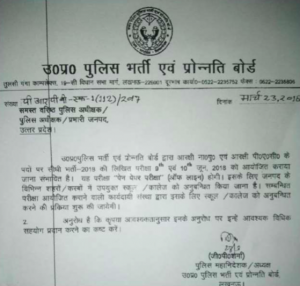 When UP Police Constable Admit Card 2018 will release ? What are the things that will be engraved in the UP Police Sipahi Hall Ticket 2018 ? Which Valid ID Proof Should I take ? Do you have any Problem while downloading the Hall Ticket ? Mandatory for the written test is hall ticket downloading. So, it is one of the important steps for appearing and getting chance in to the govt service. Uttar Pradesh Police Competitive Examination is also no exception. Latest Update 08.04.18: up police constable admit card has not yet published the department.Hopefully the department will release admit card in May And then you can download the admit card. We have made a direct link to download the admit card in our article. Those who are searching for Written Test Admit Card 2018, may also like to know about UP Police Sipahi Previous Years Question Paper Download. UP Police Constable Admit Card 2017 2018 has not been published yet. Uttar Pradesh Police Recruitment and Promotion Board or UPPRPB will conduct the written test or online test. Multiple Choice Questions will be asked in the written test or online exam. Objective type questions have to be answered in OMR Sheet. Negative marking may be there for each wrong answer. Physical Eligibility Criteria for Constable Post. Visit the link of the official website given below. Then navigate to the admit card downloading page. Later enter your roll number and registration no. Hit the enter or submit button. Your hall ticket will be available on the screen. Keep your hall ticket in a safe and secure place. 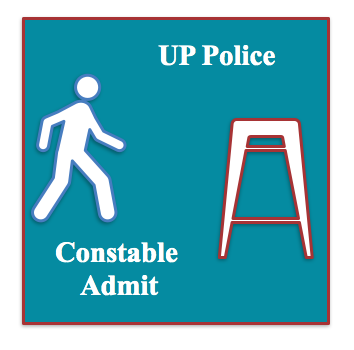 You have to carry your UP Police Constable Admit card to the exam hall. One valid identity card must be brought to the exam hall. You need to show it to the invigilator. If you have forgotten your roll number or reg no or application id etc. you may need to contact the official authority of UPPRPB. Constable online exam date or written test date will be updated in this page once latest information is available regarding when the UPPRPB UP Police Constable Written Exam will be conducted. The written test or computer based online test (CBT) will be conducted in various places in the Uttar Pradesh state. Candidates are now waiting for when the exam will be conducted. After the exam date is announced, publishing date of the admit card will be announced. Candidates will be waiting for the hall ticket. Once it is published, they should download the hall ticket without waiting for the last date. Admit Card must be downloaded for the UP Police Constable Written Exam Online Test 2017 2018. Before going to the exam hall, the hall ticket must be printed and should be taken to the exam venue in hard copy format. As you wanted to know about the Sipahi Bharti process, then you must have filled up the application form. So, now we will look at the process of selection. Here we will see, how many steps are there which are involved in the UP police constable selection process. Then Physical Eligibility Test (PET) or Efficiency Test. Admit card is not only the thing which you just should print and carry to the exam hall. It also contains various useful information. These information are required through the selection step. 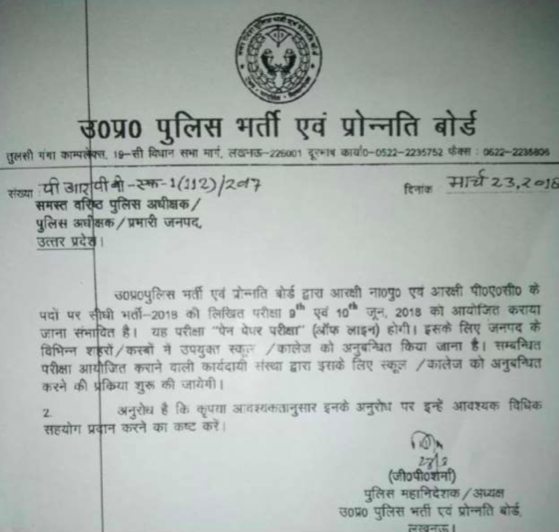 When you print your Sipahi Bharti Hall Ticket 2018 from UP Police Website prpb.gov.in, you must self-verify some information printed on the Admit Card. We are giving the list of the items which you must check. Venue of the written test. Full address of the exam center. Post of the applied vacancy. These are the most common things you must check. Also you must check whether the photograph is visible or not. If your photograph is not visible, you should carry a bundle of your recent passport size photographs to the exam hall. Therefore please verify the information before you are leaving for the exam hall. As we know male and female both posts will be recruited in the post of constable, we must discuss some important aspects about physical criteria here in this post. Chest Requirement is not for Female Sipahi posts. Blue / Black ball point pen. Any Valid Identity card proof. These are some must take things. Please Note – The UPPRPB may list some specific items only which will be accepted as ID proofs in the exam. Hall. So you should carry any of those ID cards only. Many candidates ask for the venue of the exam. Even many of them want to know what is the full address of the examination center. Although you must know that all the address and location of the exam center will be mentioned in the hall ticket. Therefore you will get to know your place of exam when the admit cards are out. In general, the PRPB authority will conduct the written test throughout the state of Uttar Pradesh. However, in selected venues only, the exam will be conducted. 9th and 10th June 2018. Preparation of the written test should be based on examination syllabus. In order to give you the detailed syllabus of the written test, we are providing in tabular format. So, are you unable to download your hall ticket ? Then you must read carefully the process. Furthermore, you can follow below steps to download your hall ticket in hassle-free way. Firstly visit the official portal. Then if you have forgot your application number or user id password then click on the forgot password link. After that, enter your email id or name / D.O.B combination to recover your password. Later you should provide other matching details. So now, you will get all your password and associated info. Male 1091 Absent Candidates – Notice Download Click here. Female 227 Absent Candidates – Click here to download notice. Admit Card for Male Absent Candidates – Download Now. Admit Card 2016 for Female 227 Absent Candidates – Released Now.